In this post, we will tell you how to first-time login in Syndicate Bank net banking. After successful registration, when you login first time in your net banking account, you need to complete some remaining steps. Here we will show all those steps after login first time. Please note, after register online for net banking, you will receive login password and reference number to set transaction password on your Email address. You will receive two emails, please check your inbox. You need to change your login password after login with this login password. With reference number, you need to set your transaction password. Your User ID is your Customer ID which you can find on your passbook or you can ask customer care executive. Enter User ID (Customer ID) and login password which you received on your email address. 2: Next screen, you can see Change Login Password screen. 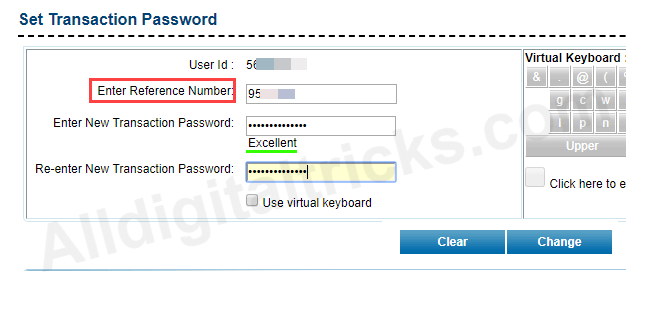 Enter current login password which received on your email address and set your own login password & click on change. 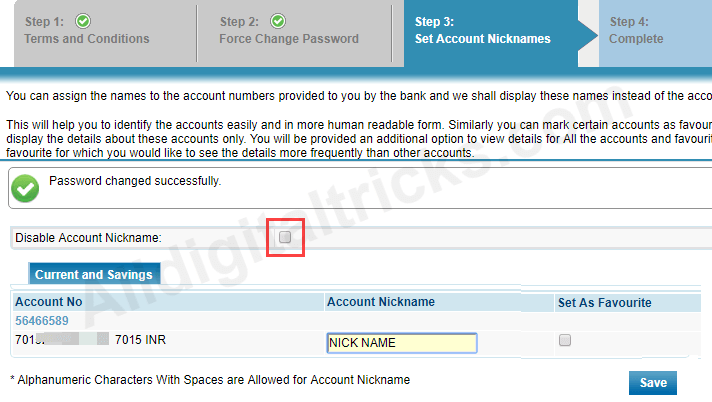 3: Next screen you can set nickname for your account, it is not mandatory, you can skip this step by clicking on Disable account nickname. 4: Your all steps completed, now click on continue and your setup is complete. 5: Now you need to set your transaction password. This is the last step you need to complete. 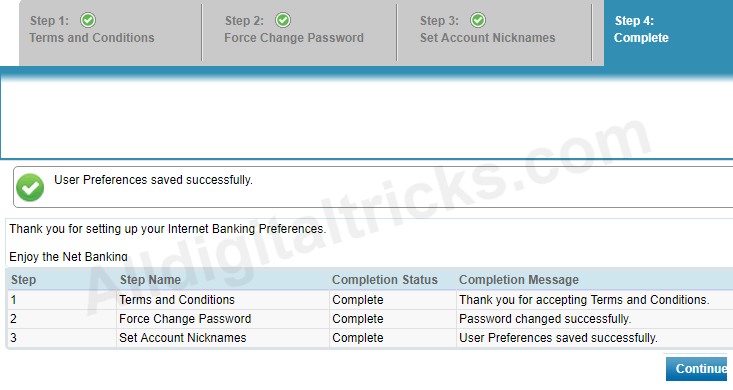 To set your transaction password, login net banking and click on Customer Services and then Set Transaction password. Now enter reference number which you received on your email address during net banking registration. Enter reference number and set your transaction password. That’s all your Syndicate Bank net banking first time login all steps now completed and you are ready to use net banking services.